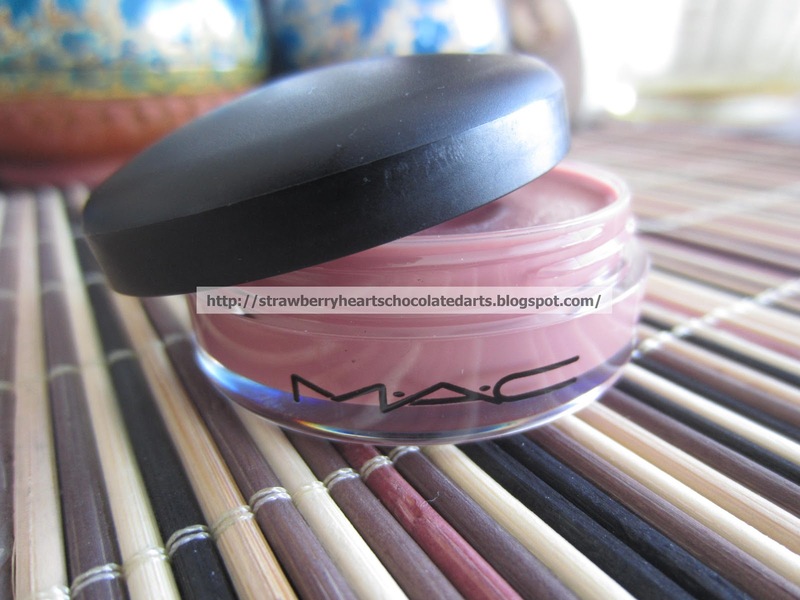 Today, I would like to review one of MAC's limited edition tinted lip conditioners. This particular shade is called Calm Mode. It was released as a part of the Cham Pale limited edition collection in the Winter of 2010-2011. I found this product at a Cosmetic Company Outlet store a little while ago. 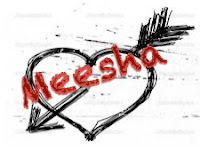 Although this product is no longer sold at MAC counters, you may be able to find it online or at a beauty outlet that carries discontinued or limited edition products. I purchased it for $11. This lip balm was originally sold at MAC counters for $15. I had recently finished a container of the original MAC lip conditioner (pot / not tube) when I came across this one. 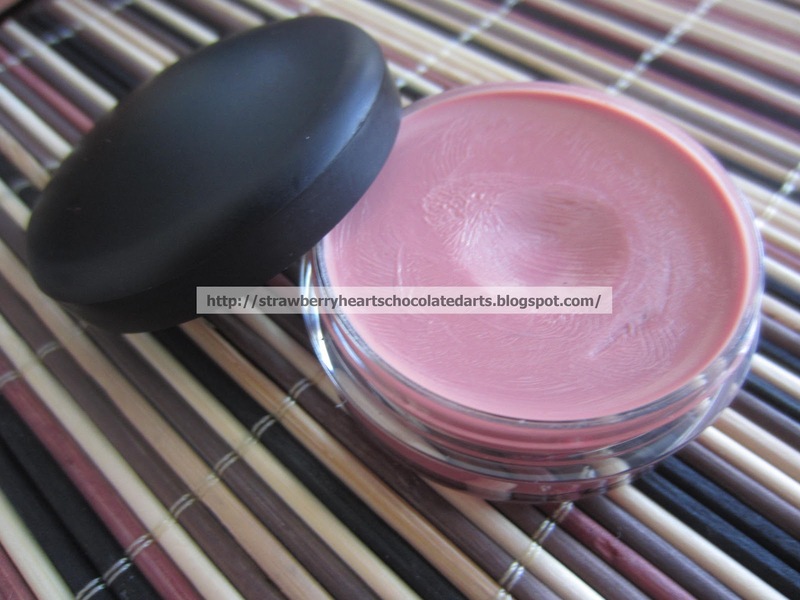 I recently wrote a mini review for the regular, colorless, MAC lip conditioner (pot) in my "Finished Products, Hits and Misses, Feb 2013" post. Simply put, I really liked the original MAC lip conditioner (pot). However, I mentioned that I would not repurchase it because of its packaging. I had stated that I wish this conditioner came in a stick or squeeze tube form. I dislike using my fingers to apply this product. It just feels very unsanitary. MAC does have a lip conditioner in stick and squeeze tube form, but I believe those do not have sunscreen. Well, I purchased another one even though I had decided not to. I think the baby pink color drew me in. I cannot say that this lip condition is miraculous, but I find that it does make my lips feel moisturized, hydrated, and smooth. However, this good feeling does not last a long time. You must reapply every two to three hours or after a meal. In my experience with lip balms this is definitely the best. I have tried Fresh Sugar (original and tinted), Neutrogena, Chapstick, L'Oreal, Maybelline, Vaseline, and some other random brands at the pharmacy, but this by far has been the one and only to impress me. 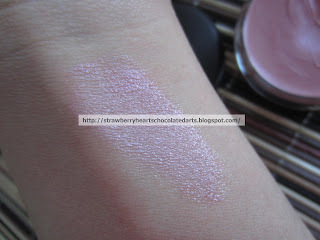 Fresh Sugar lip balms are nice as well, but it is not as nice as this one, and very expensive. I like applying this balm underneath my pinky mauve lipsticks. Not every lip balm can be worn under a lipstick. For example, the Sugar Fresh lip balm, which is a bit waxy, leaves a heavy film on your lips and does not allow lipstick to adhere properly to the lips. It really sheers out the lipstick and gives off a patchy appearance. On the other hand, the MAC lip conditioner sinks into your lips allowing the lipstick to glide on effortlessly on the smooth surface. This technique works especially well with fully pigmented matte or satin lip colors. I would definitely recommend this lip balm if you do not mind the packaging, but I would prefer the original, regular, non-tinted version over the tinted ones because I feel like the latter are not as moisturizing. This lip balm has a pleasant vanilla and lavender scent. It is a very mild and reminds me of a herbal spa. If you are sensitive to scents like I am, don't worry! This is not one of those intense herbal scents that makes your nose feel tingly and gives you a headache. The label at the bottom of the container states that the balm contains lavender. MAC products are known for their vanilla scent. Also, if you get minor sunburn around your lips, then you might like this product. The area around my lips is very sensitive and prone to sunburn. Although this balm has a low amount of sunscreen, it has been a great protectant for my lips. A lot of drugstore lip balms with sunscreen caused my lips to burn more. My dermatologist told me that I may be allergic to an ingredient in this balms. Perhaps she said it was petroleum, but I don't remember clearly. Anyways, if you are having this problem, you may want to consider this lip balm. Well, I hope you found this review helpful! Don't forget to check out my international Giveaway to win Mac Stereo Rose! Pretty packaging. And the swatch reminds me of a highlighter. I'm currently in love with Figs and Rouge lip balms. I really want to try these but keep missing out on them (we don't have CCOs here).